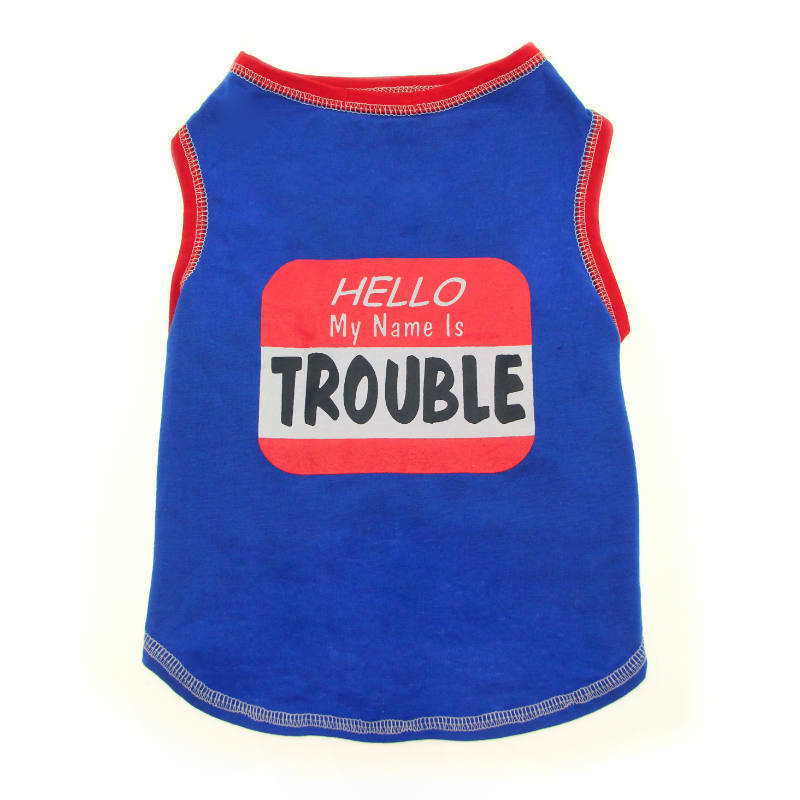 This t-shirt is perfect for your trouble-maker. 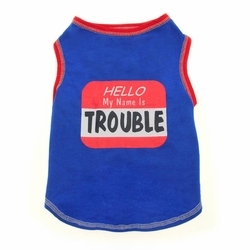 Imagine your darling pet in this cute t-shirt! 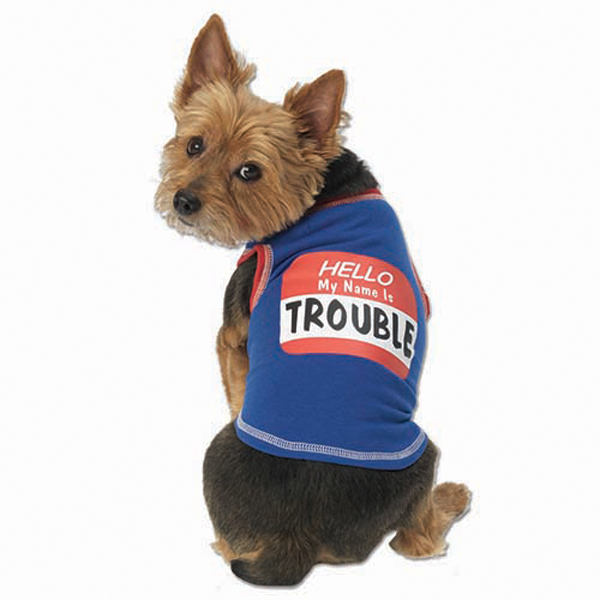 • The back says "Hello My Name Is Trouble"